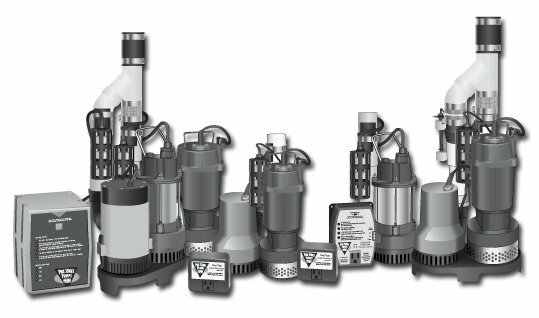 Battery backup sump pumps are used for protection against flooding when your power goes out. During the worst of the spring storms, power is often lost, shutting down your old sump pump system. In these cases, a battery backup sump pump will automatically turn on and provide flood protection for your basement until power is restored. For those of us that have experienced basement flooding, battery backup sump pumps are not a luxury, but an absolute necessity. A battery backup sump pump system monitors your whole waterproofing system with a controller and then switches your sump system from AC power to DC power when there is an interruption in electrical power service. These controllers will then recharge the battery once AC power is restored. Audible alarms will inform you of this occurrence, but no action is needed on your part for most systems. Some of these systems can even call your cell phone and inform you of an interruption so that you are warned about your freezer or any other concern. As with AC sump pumps, DC battery backups vary in performance and features. Gallons per hour that they can clear and efficiency are the keys to picking the best system. If the system is not efficient, it will drain the battery quickly and put your basement at risk. Also, if your backup cannot keep up with the amount of water entering your sump basin, your basement will be at risk. If your sump pump is not working, call us for your battery backup sump pump repair. Let us install a flawless backup system in your home. It will eliminate all worry about damage to the contents of your home. 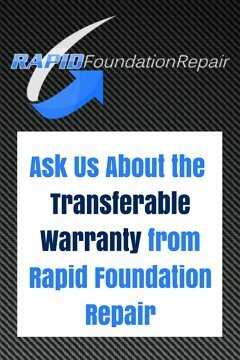 Call Rapid Foundation Repair for battery backup sump pump installers that you can trust.